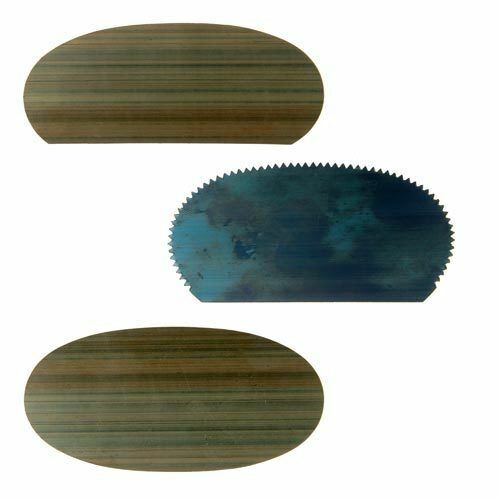 This practical set of 3 modeling palettes is made of highly flexible blue spring steel. Each is uniquely shaped and one is designed with a serrated edge. These clay modeling tools are used for smoothing, blending and scraping clay, emphasizing edges, trimming, and leveling the base of thrown clay. 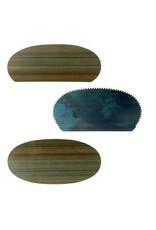 Our set of steel clay modeling palettes ranges in length from 4-5”.